The Integrated Systems Europe is the world’s best-attended tradeshow for the professional AV and electronic systems industry, it was launched in 2004 to fulfill the need for a pan-European forum for the engineer markets of professional AV and electronic systems integration. 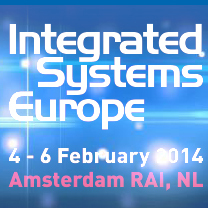 The ISE 2014 will be held at the superb Amsterdam RAI, occupying every hall of this world-leading meeting and convention venue. The show will attract professional from every link in the systems integration value-chain, including manufactures, distributors, dealers, contractors and consultants. We will join the exhibition in 2014 and show you the latest LED color calibration system products. We sincerely hope that we can communicate with the LED companies around the world and exchange the most advanced technology each other. The booth is 11-P45 and we are looking forward to your visit.